The Omaha Metropolitan Area and its Papillion Creek Watershed has always been prone to the threat of flooding. Major streams, especially the Big Papio, Little Papio, and West Branch Papio Creek, can overflow their banks, causing disastrous flooding and considerable loss of life and property. The most damaging floods of record occured in 1959, 1964 and 1965. 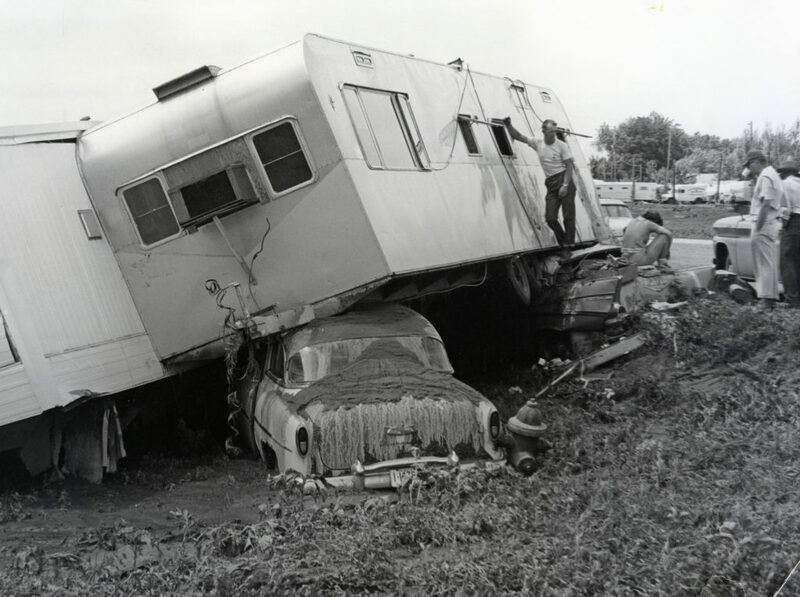 On June 16th and 17th, 1964, seven people lost their lives and millions of dollars in personal property losses occurred. Ninety-five trailer homes were swept more than a half mile downstream by torrential flooding in the Millard area. During that storm, eight inches of rain falling for three hours on Hell Creek flowing down from Boys Town into the West Branch Papio Creek created a roaring torrent of water 50 feet wide with waves five feet high. In its wake, houses were moved off of their foundations and garages were destroyed. In 1964, the western boundary of Omaha extended only to 72nd Street. 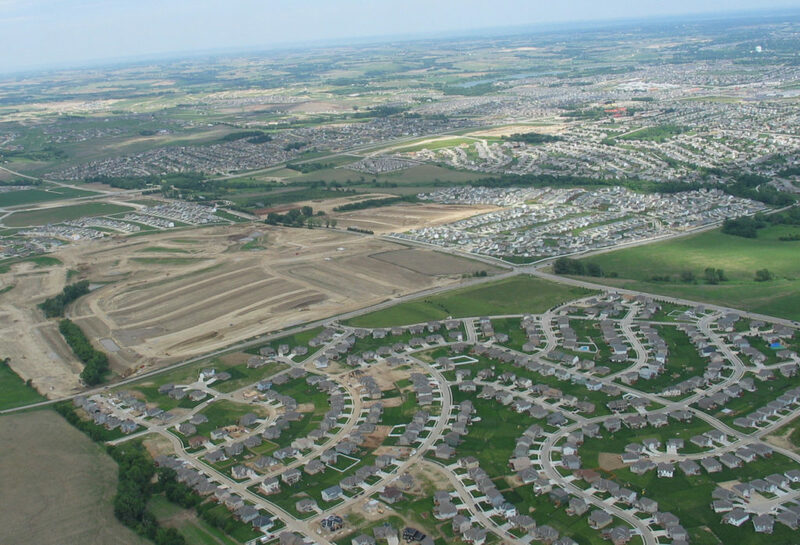 Over the next 50 years, Omaha and the rest of the Metropolitan area expanded westward, adding dozens of square miles of rooftops, driveways and streets that dramatically increased the amount of stormwater runoff. If the kind of flooding that occurred in the 60’s ever happened again, there would be a potential for much greater loss of life and a much higher level of damage and destruction. As a result of the serious flooding in 1959, 1964, and 1965, the U.S. Army Corps of Engineers completed a study in 1967 calling for comprehensive flood control for the Metropolitan area that included the construction of new flood control reservoirs throughout the Papillion Creek Watershed. This flood control plan called for 21 dams to be strategically located within the 402-square mile Papillion Creek Watershed. Of the 21 dams recommended by the Corps of Engineers, alarmingly only nine have been built so far resulting in the creation of Cunningham, Zorinsky, Standing Bear, Candlewood, Wehrspann,Walnut Creek, Youngman, Prairie Queen and Newport Landing Lakes. Though they provide limited protection, the threat of increased runoff from new, urbanizing areas require that we take decisive action now.